MB&G works collaboratively with owners, design teams and construction staff to maintain permit compliance throughout construction. MB&G has extensive experience working collaboratively with engineers, construction staff, and project owners to ensure environmental compliance during construction activities. Our staff includes Certified Erosion and Sediment Control Leads, wildlife biologists, water quality experts, site restoration specialists, and fisheries biologists with expertise in documenting permit compliance for a wide range of construction-related impacts. 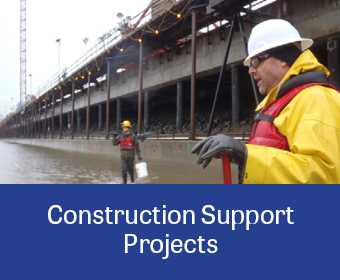 Our team excels on public works projects in sensitive environments requiring mitigation and restoration. In addition to infrastructure projects, we also monitor the construction of linear projects, including transmission lines and pipelines where conditions address a wide range of concerns and permits reflect multiple jurisdictions. Our Project Managers have significant experience in agency facilitation, negotiation, and reporting, which are key elements of successful monitoring and compliance programs.